The UK Government needs to urgently implement new carers' employment rights and work with employers to better support carers in the workplace, according to a new report from the Work Foundation. 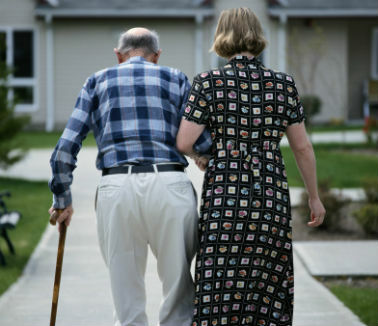 The research, based on an evidence review and a workshop attended by carers, charities and government officials, highlights the impact caring responsibilities have on a person's employment with those providing 50 hours or more care per week being 36% less likely to be employed compared to non-carers. Findings suggest women are disproportionately affected, with 61% of female carers being employed in comparison to 68% of men. Those aged 45-54 are twice as likely as any other group to have reduced their working hours due to caring responsibilities. This causes financial strain - reduced earnings, savings and pension contributions - meaning many suffer from relatively high poverty rates and end up in debt. Researchers are therefore calling for Government to deliver on its promise to implement new rights such as statutory leave, which was recommended in the 2017 Independent Review of the State Pension Age - and pledged by the Conservative party in their 2017 manifesto. The number of 'informal' or unpaid carers - people who look after a friend or relative who need help due to age, disability or illness - is growing rapidly in the UK, and is estimated to reach 9 million by 2037. This follows a sharp increase between 2001 and 2011, when the number of informal carers rose from 5.8million to 6.5million - an increase that outpaced the growth of the overall population. Dr James Chandler, from the Work Foundation, said: "The current carer's allowance is inadequate and means the financial barriers faced by carers are incredibly difficult to overcome. Not only do they face family and financial worries, but their time away from work can also have a real impact on their confidence, skills and knowledge. We found that many carers are prone to poor mental and physical health, with many experiencing social isolation due to the pressures on their time. "With an ageing population and reduced investment in social care, unpaid carers provide the majority of care in the UK - not doctors, nurses or care workers - and the numbers of carers are only expected to grow. Our health system is reliant on them and they do an incredible job, but not just for their family and friends, they also make a substantial contribution to the economy - estimated by Carers UK to be £132billion a year. With Brexit looming, a reliance on migrant labour in the health and care industry and an ageing workforce, there is a risk of further pressure on employees to leave work to care for family and friends. "The Government and employers need to act fast. For years, unpaid carers have picked up the slack, but there's a real risk that this won't continue unless changes are made urgently."